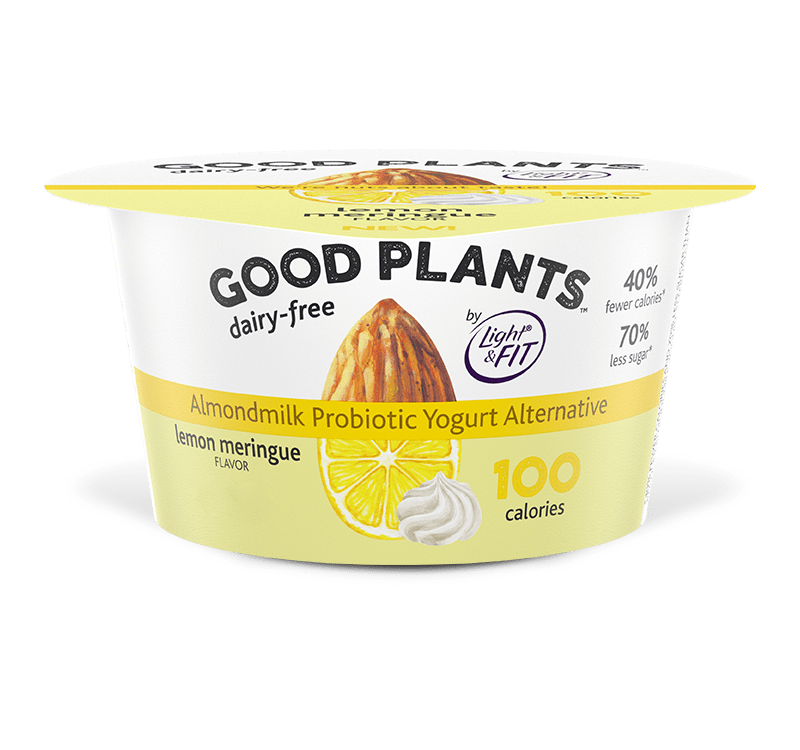 All the sweet, tart flavor of the famous pie, in an almondmilk probiotic yogurt alternative made with the goodness of plants. Almondmilk (Filtered Water, Almonds), Chicory Root Fiber, Fava Bean Protein, Food Starch, Cane Sugar, Contains less than 1% of Lemon Pulp, Pectin, Natural Flavors, Stevia Leaf Extract, Lemon Juice Concentrate, Active Yogurt Cultures L. bulgaricus, S. thermophilus, & B. lactis. BB-12® Probiotic.